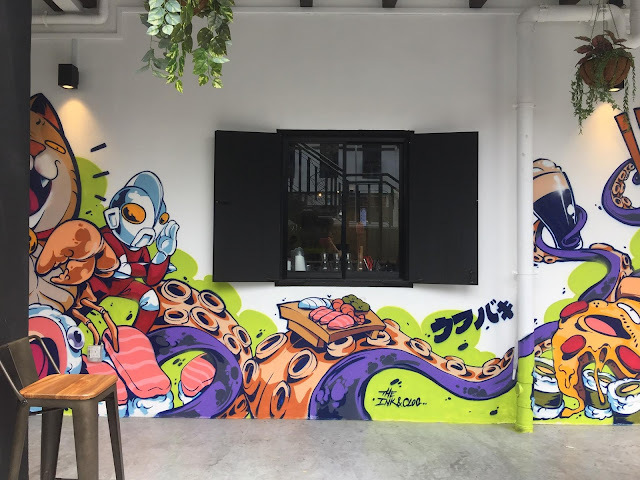 Home / ZAMZA at FOMO Food Court / ZAMZA Food Review / ZAMZA Halal / ZAMZA Japanese Singapore / We spent our weekend at ZAMZA - a Japanese stall located at hipster food court FOMO. We spent our weekend at ZAMZA - a Japanese stall located at hipster food court FOMO. With the recent exodus of colleagues and friends heading to Japan to catch the cherry blossoms, I was experiencing a severe wanderlust of the fond times I had in that beautiful country. Besides the memorable sights and sounds from the Arashiyama Bamboo Forest in Kyoto, The Gatehouse at Nagoya and Shinjuku Gyeon in Tokyo, food in Japan are quite uniquely Japanese. Japanese cuisine stands out on its own and the cuisine can be easily identifiable. The founders at ZAMZA have given Japanese cuisine a slight twist with its "No Pork No Lard" slogan, something that you won't see in most Japanese restaurants. They claim that they're collaborating with Ramen and Donburi makers from Tokyo and Osaka for their signature dishes. Ambience at ZAMZA is romantic at day and trendy at night. 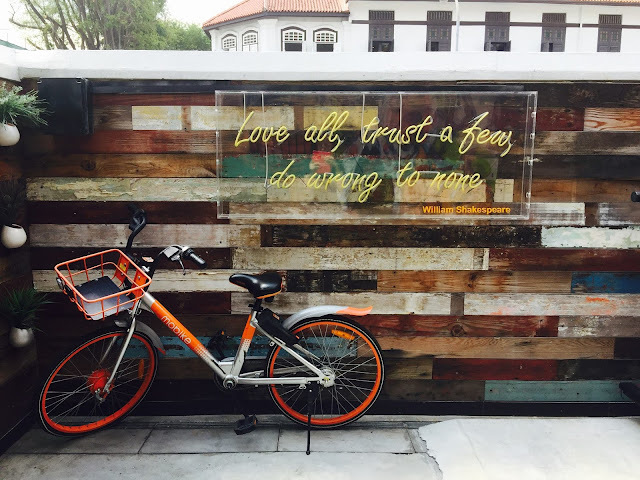 ZAMZA is just one of many stalls located in FOMO, and the entrance of the food court is decorated with small pot plants on the wall and a William Shakespeare quote. My brief encounter with the stallholders does not leave me any impression, so there is not much to comment on the service since the food court is pretty much a self-service dining concept. Ice Neslo - Milo and Coffee (S$3.80). I wouldn't recommend this though I'm a fan of both milo and coffee! Stewed halal chicken chunks drowned in dashi sauce, topped with runny eggs, onion and parsley served on a bed of Japanese rice. Yakitori Don (Tsukune, Momo, Tebasaki) — S$8.00. Served on a bed of Japanese rice. We got the yakitori Halal Chicken sticks (S$3), and you have the option for it to be served grilled or with sauce. Tokyo Style Tori Paitan 'Creamy' Shio Broth (rich option) — S$10. Look forward to sous vide halal chicken breast, black fungus, baby cabbage, ajitama, negi, goma, red pepper and the usual japanese fragrant oil. They served generous portion of ingredients together with medium thick wheat ramen. Hokkaido Style Tori Curry Shio Broth Ramen (Spicy Option) — S$11.00. Don't miss one of my favourites: Halal Chicken Char Suey, Sweet Cabbage, Ajitama, Negi, Goma, Red Pepper, Parsley and Fragrant Oils. Osaka Style Tori Kuriya 'Clear' Shio Broth (Light Option) (S$10). ZAMZA uses imported Japanese shio and tops with chicken cha siew, wakame, baby cabbage, white onion, ajitama, negi, nori, goma and fragrant oils. Served grilled with sauce. Comes with momo (chickenk thigh), tebasaki (chiceken wing) or Kawa (chicken skin). It also comes with shiitake mushroom and traditional chicken meatballs as well. "Love all, trust a few, do wrong for none - William Shakespeare"